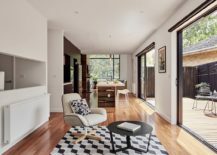 On first look you would be forgiven for believing that this gorgeous home is set in a calm and tranquil suburb, far off from a big city and its constant rush. 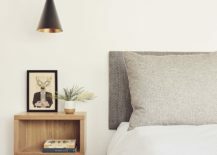 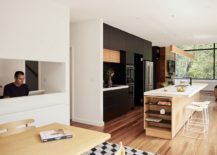 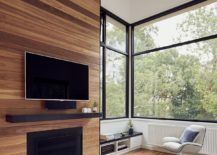 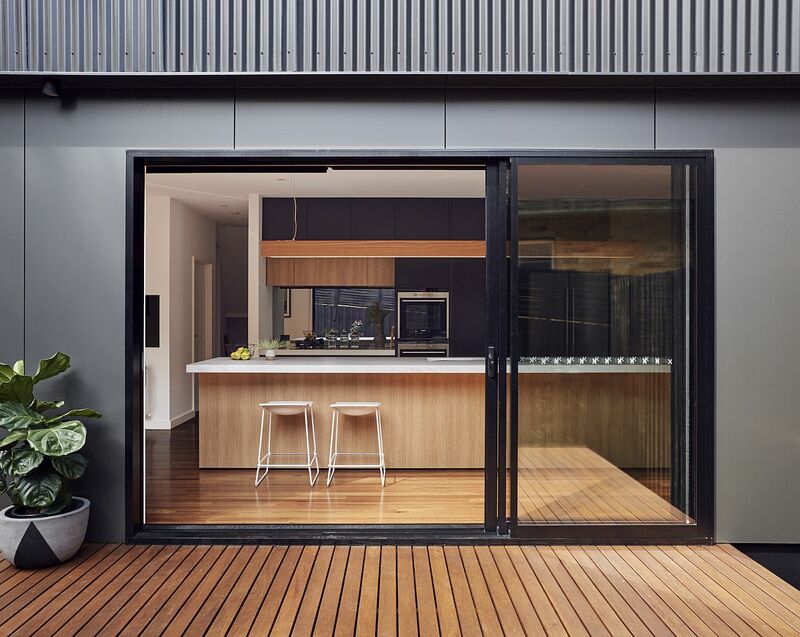 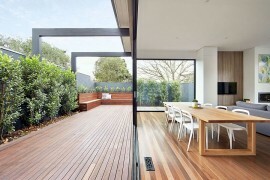 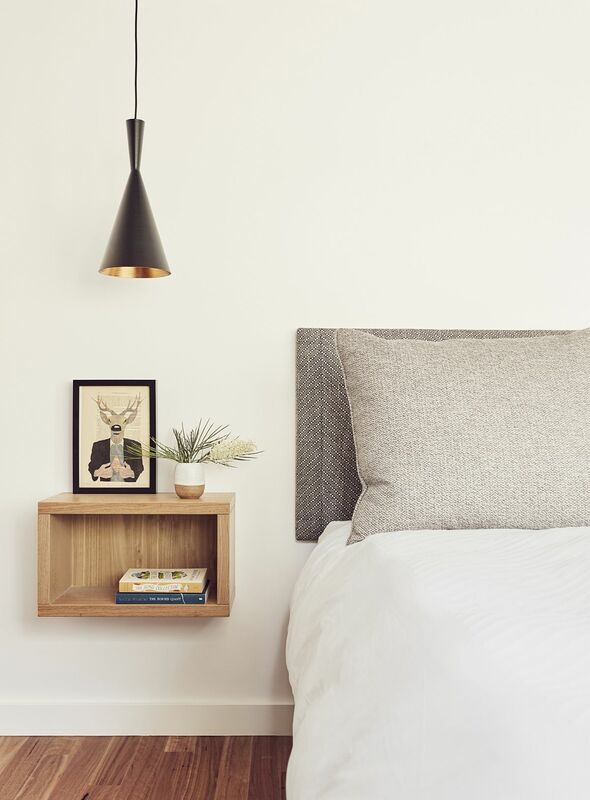 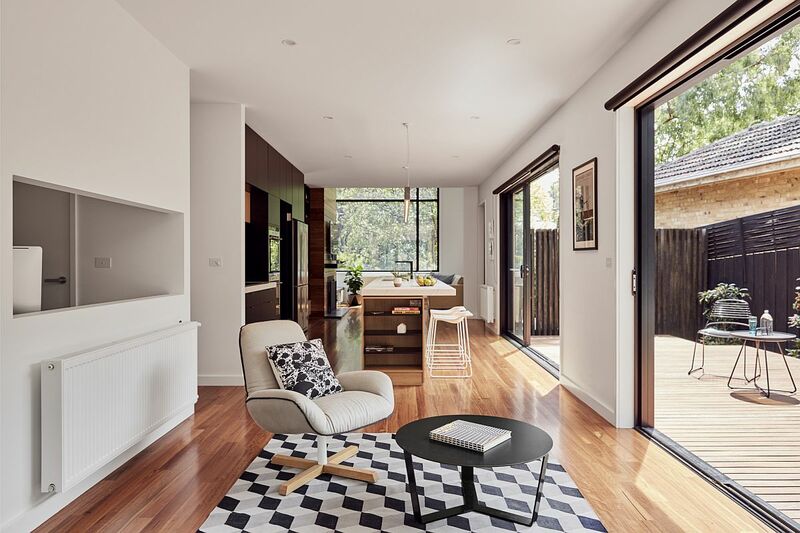 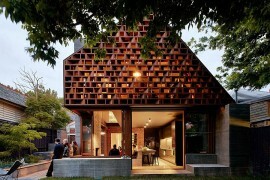 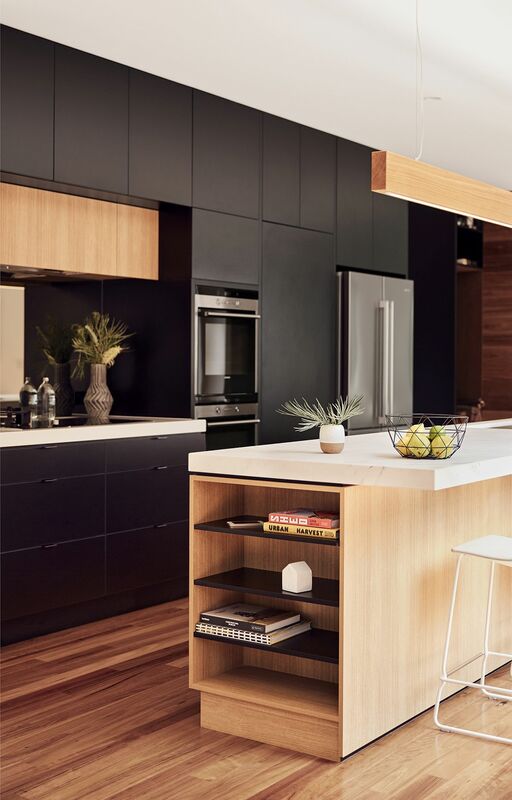 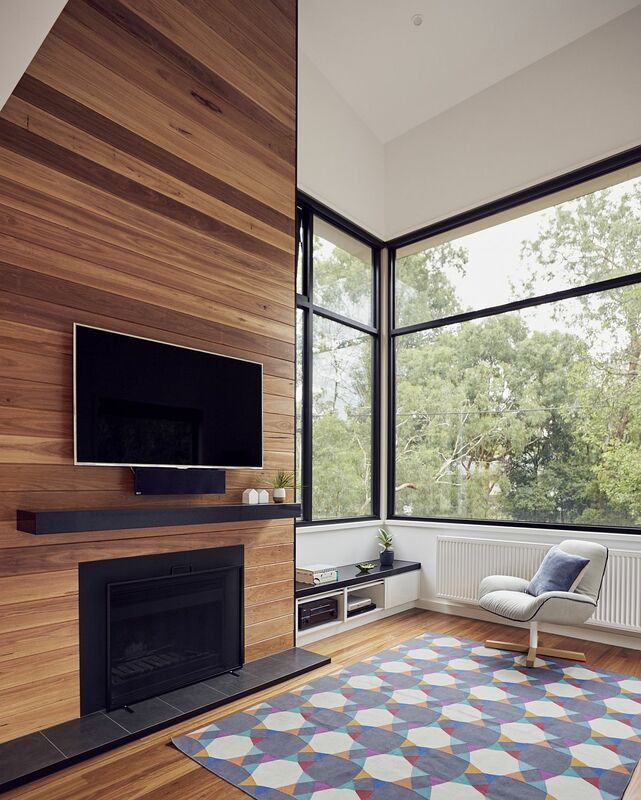 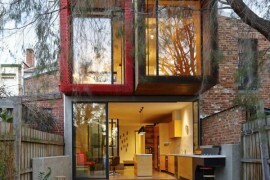 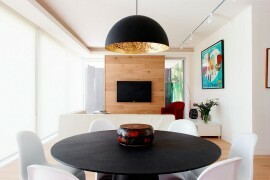 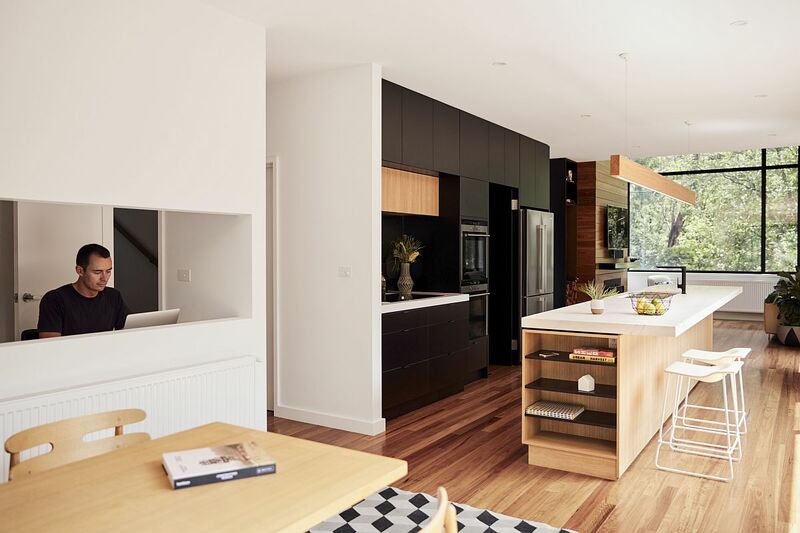 But set on a leafy and secluded lot in Melbourne, the Blackburn House offers a serene oasis that allows its residents to escape the rigors, sights and sounds of the urban jungle that surrounds them. 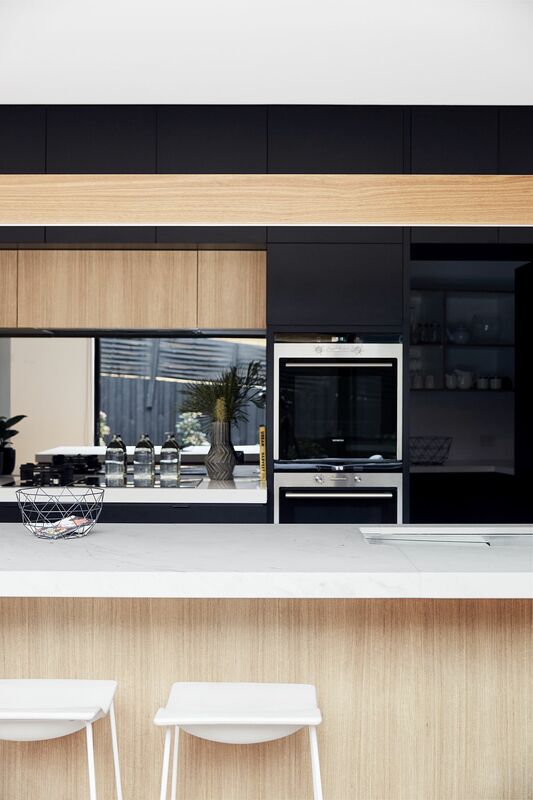 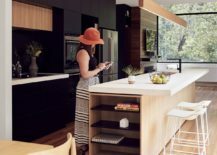 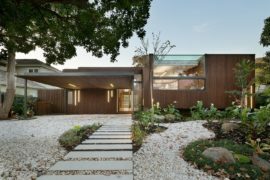 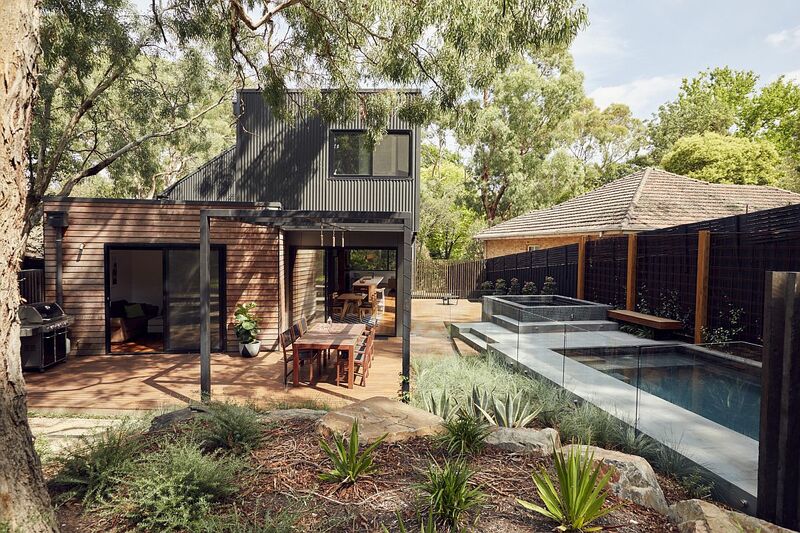 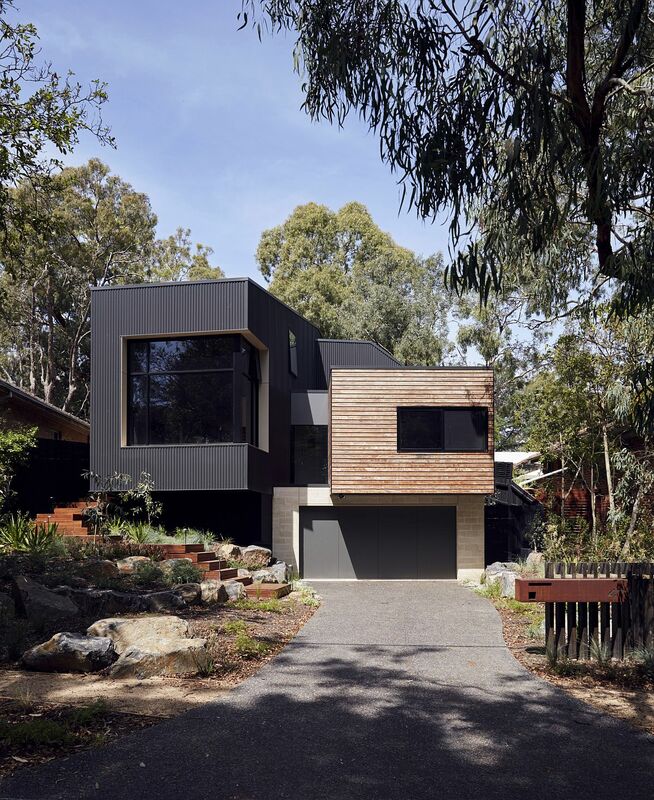 Designed by ArchiBlox, the natural slope of the lot coupled with a series of gum trees and lush, green landscape defined the overall form of the new residence and its cantilevered living form. 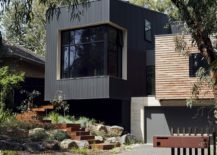 Dark exterior of the house stands in contrast to the light, cheerful and modern interior with the ground floor housing the living, kitchen and dining in one wing and a family room, study additional bedroom and other utility space in the other. 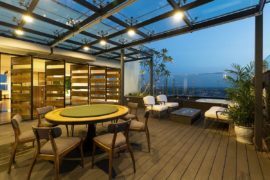 The top cantilevered level is dedicated exclusively to private spaces even as a large deck brings the outdoors inside on the lower level. 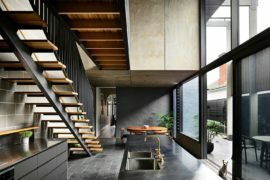 A double-height void acts as the central fulcrum of the home that brings in even more ventilation and ushers in a sense of spaciousness. 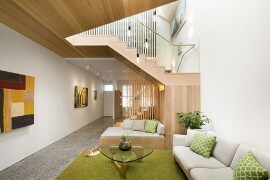 In essence, the uniqueness of this site within such a built up urban context was a pleasure to work with. 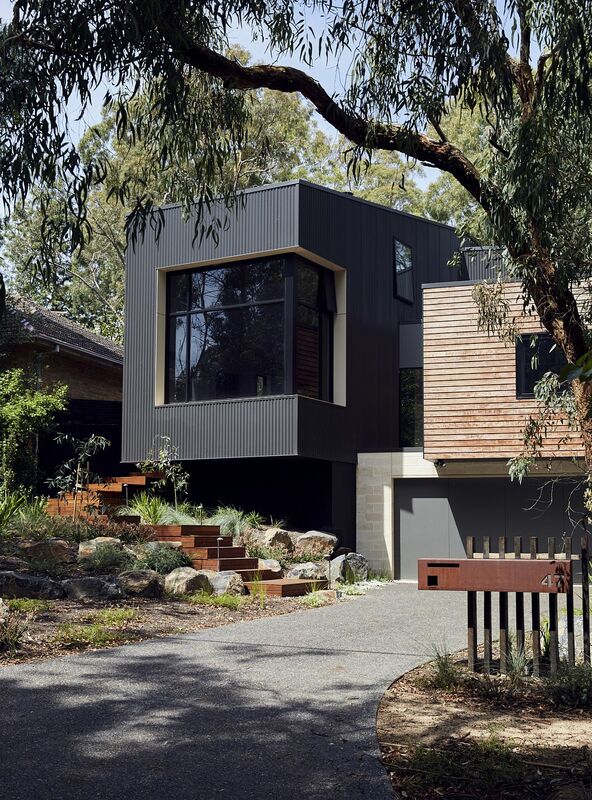 Escaping the bustle of contemporary life and the noise of traffic down alleyways lined with trees and roofed with leaves was a joy. 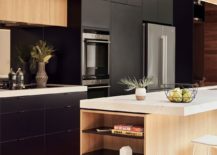 We only had the opportunity to touch this environment briefly but it has left lasting impressions on all of our team members who came into contact with it. 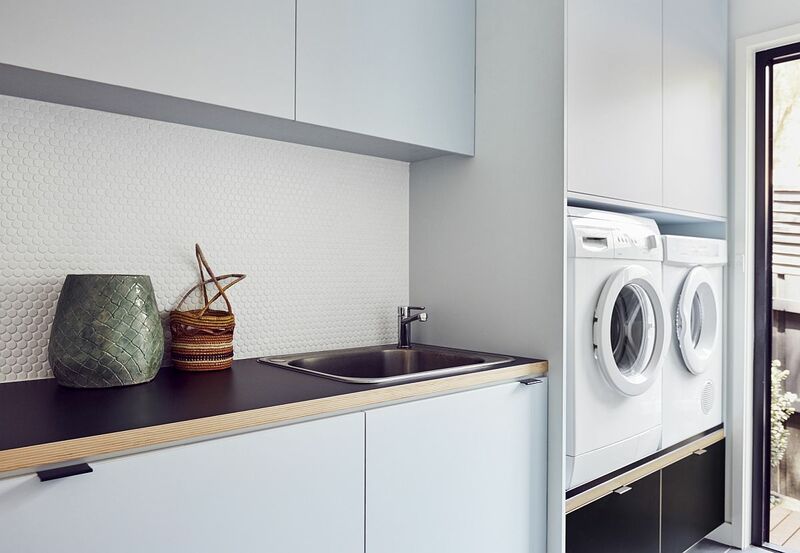 It must be a joy to live with daily.